We made it to Friday!! 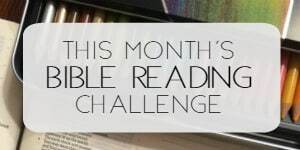 Welcome Bible Challenge Readers- it’s check-in day and I can’t wait to read how everyone is doing! I hope you are still reading, no matter if you are keeping up or not! Let’s encourage one another today! (Could I use any more exclamation points in one paragraph?!!!) I also have a children’s book giveaway opportunity for you and it is so sweet! 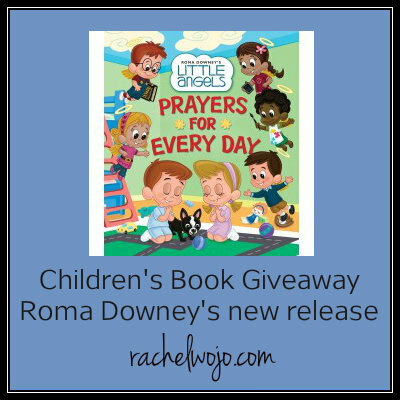 Today I have the opportunity to share Roma Downey’s Little Angels series, Prayers for Every Day, book review and giveaway. Teaching children to pray isn’t always an easy task. 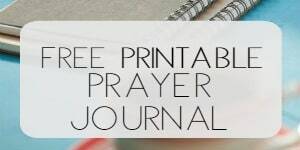 Sometimes the prayers get assigned to meals and bedtime, which is great, but I do want my kids to grasp the opportunities to pray to God at anytime, don’t you? People are all different., but you love them just the same. Please teach me how to do this, Lord– to love them in your name. Don’t you just love the way the rhyming is paired with the meaningful words to make it so simple for children to grasp and remember the concepts? If you’re looking for books on prayer for adults, I have an awesome list of 5 books right here. Disclosure: This site may be compensated if a purchase is made. I’m still here, and actually stayed caught up through a m ini vacation. Thank you so much for the inspiration to start this! I am still here too, reading along with you all! It is 60 days today! Isn’t that cool? 60 Days! YAY- glad you are continuing! I’m still catching up, but every day I get a little closer. Thanks for the accountability! little by little. You can do it! I finally caught up. I bought a DVD of the Bible and I listened that while I crocheted a scraf for my son. And my kids got fed too. oh I love this!! you go!! YAY! I don’t like socks anyways. 🙂 You go! YES! I finished and caught up this week! It’s a miracle and I know only through God! I glanced at a few other comments and noted some same thoughts. Yeah! To everyone continuing. 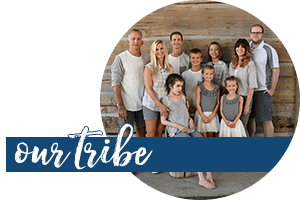 We are family of sorts as we continue in the challenge together. I was reminded of encouraging one another as Paul did in 1 Corenthians 16 today. Watch! Stand fast in the faith, be brave, be strong …. So my sisters in Christ, we are all continuing together! Blessings and love in Christ to all! 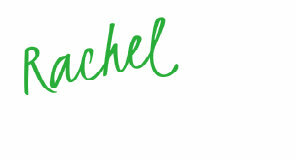 Thank you dear Rachel! Something dear to my heart to mention our brother Saeed Abedini imprisoned in Iran for his faith in Jesus. Learn more at savesaeed.org pray for him and his family. Amen Friend. Thank you so much for sharing!! Whoop, I’m still here! 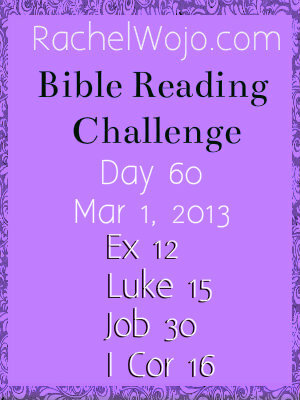 I had to combine a couple of days this week but here it is Fri. and I just finished today’s reading! I am still so happy about this! Thanks again so much for such a great page that really helps me stay on track! Hope you all had a wonderful week and can enjoy your weekends!!! Take care! So glad to have you Sarah! Woohoo!! I am still here and reading along. Thank you for this way of getting through the bible in a year!! Keep the faith Jody!! Thanks for checking in! Made it all week and since it is 11:47 pm in North Texas I made the Friday check-in!! Yay!! It was a tough week for me (Daddy had to go back into the hospital) but I kept up with my reading and was blessed while doing so! Praying everyone has a BLESSED week!